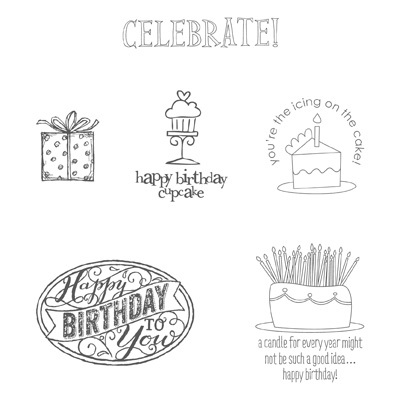 Stampin' up always has great ideas... I want to tell you about two new things that really blow my mind. Sweep away the mundane - order your Paper Pumpkin today! Just think . . . I come to your door each month (a fully decked-out creativity carriage). I'll help you escape your life with some paper fun. (I'm kinda like your paper fairy godmotherwithout white hair!) You'll love what you find on the inside: All the stamps, ink, paper, and accessories to create pinable projects. Stuff like cards, 3-D items, and more! This is really ideal for people that love to craft, but don't know if you have enough time. This is a kit that comes right to your door every month... and you can cancel anytime! I love that it's all there for you... so if you have an hour or two, you open up the kit, and go for it. You can mix and match the projects with things that you already have, or just use what it already there. The second thing I'm super excited about is our BEST OF 25 YEARS selection. As part of their 25-year anniversary celebration, we’re bringing back some of our favorite stamp images from the last quarter century and combining them into 12 sets, which will release—one set per month—during 2013. Even better, along with some great classic images, each “Best of” set will also include a never-before-seen image! As a special incentive to collect the Best of stamps, we’re including a collector’s card and 25-year proof of purchase sticker with every Best of set. Collect six stickers, and send it in to redeem a FREE set of your choice valued up to $17.95! Free sets must be redeemed no later than April 30, 2014.